The Women's Selsley Triclimate Jacket from The North Face is a must have for anyone looking for a solid, reliable but adaptable jacket. 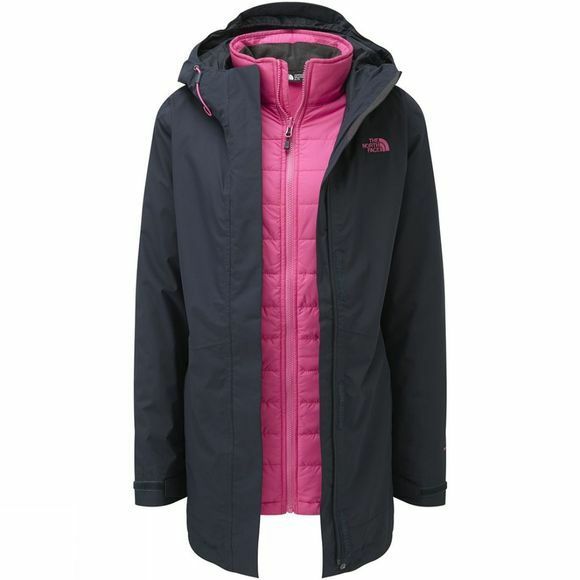 It boasts an insulated, detachable inner jacket for warmth while the outer shell is waterproof and windproof to keep the weather on the outside. The full length zip makes for easy on and off on both jackets while the full length storm flap on the outer helps reduce any drafts or water ingress down the front of the jacket. 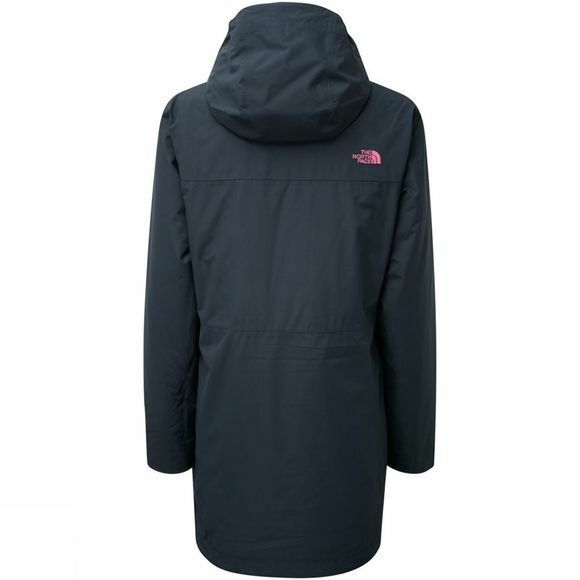 It has a slightly longer length body to offer maximum coverage and a flattering style for day to day wear and the hood is adjustable to ensure you get the protection you need even when the wind blows.